At DDM, our mission is to empower persons with developmental disabilities to achieve their highest level of social, physical, emotional and spiritual maturity. 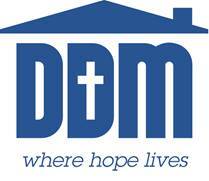 DDM is a nonprofit, charitable corporation serving adults with developmental disabilities and their families. DDM owns and operates 19 group homes in the State of Georgia. Our ministry is built upon the Christian ethic of valuing all persons as children of God, deserving of our love and respect, as well as our help.